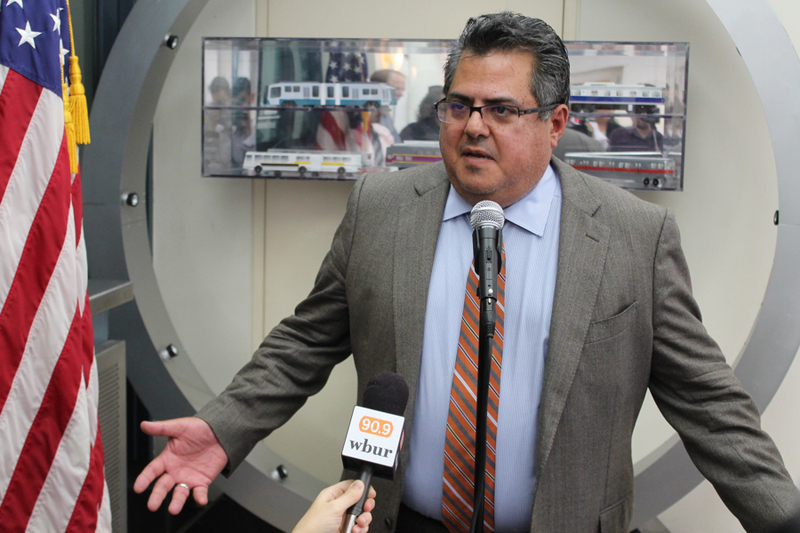 Fifteen months into a three-year-contract, and with winter just a week away, MBTA General Manager Luis Ramírez is leaving his post. Ramírez, picked to lead the state’s largest public transit agency in 2017 after a long hiring process, has already resigned, according to The Boston Globe, which was first to break the news of his departure. In his place, Deputy General Manager Jeff Gonneville will assume his duties until January, and Steve Poftak, vice chair of the MBTA’s control board, will become general manager full time. “Luis and the MBTA agreed that the time is right for Luis to separate from the MBTA and pursue other opportunities,” Transportation Secretary Stephanie Pollack told reporters Tuesday. He was paid $320,000 a year. Pollak described Poftak as someone who “knows the organization, he knows the people and he knows the challenges the T faces and he’s going to hit the ground running,” according to the State House News Service. There will not be another nationwide search for a general manager. Taking on what is among the most difficult and fraught job descriptions in state government—helping maintain and revive Greater Boston’s troubled network of trains and buses—Ramírez had a rocky tenure as GM from the start. A former CEO in Texas without experience in public transportation, his past came into question after accounting issues at his company came to light. He also bristled early on at criticism online, a sign he may not have been prepared for the intense scrutiny T officials face, although he later adopted on a more congenial social media personality. Signs of trouble emerged when the T delayed a decision on whether to give him a performance-based bonus for his work in 2018 amid a long list of unfinished projects aimed at improving various aspects of the agency. It’s the latest in a series of leadership changes at the T under Gov. Charlie Baker. Ex-GM Beverly Scott left in a blaze of fury in February of 2015 after that year’s winter storms exposed some of the entrenched problems with the system’s trains. Frank DePaola took on the role after she left, but departed in May of 2016 to focus on a battle with cancer. T executive Brian Shortsleeve stepped in after that, followed by Poftak, who held the role until the T hired Ramírez.